Self-storage is for everybody. At Eden Way Storage Center, we meet people from all walks of life who come to us for self-storage solutions. We welcome Hampton Roads active-duty military who need a place to keep their cars and belongings during deployments, and we’re here to advise on the best storage units for families moving into new homes. Whether long-term or temporary, a self-storage rental helps ease headaches and gives you room to breathe. When we say storage is for everybody, we mean it! It isn’t just for people who live in small apartments. You may have a nice, large home in Chesapeake and wonder why you’d consider renting a unit. It’s nice to have all that space in your house, but self-storage is still beneficial to you. I have an attic, and a basement. Why do I need self-storage? Attics and basements are good places to keep some things, but not necessarily everything. Temperature control can be an issue if you don’t have it set up in your attic, and basements in certain parts of Hampton Roads are at risk for water damage during hurricane season. If you have fragile items, seasonal clothing, or artwork packed away for later use, it may be safer to keep them in a climate-controlled storage unit. I have a garage. Why do I need self-storage? We agree that garages are very useful when you need a place for yard tools, bicycles, and outdoor toys – items you use on a regular basis. When so many things fill up the space that you can’t fit your car…then there’s an issue. How many boxes of untouched items make it difficult for you to open your car door? Maybe it’s time to move those boxes into storage. I have an extra room. Why do I need self-storage? 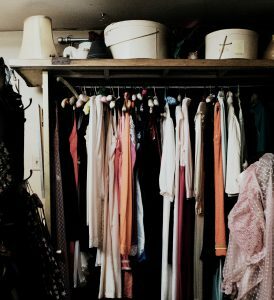 If you didn’t have an extra room filled with unpacked boxes of stuff you’re not ready to give away, what would you do? Would you set up a room for guests to visit? Would you create a home office, man cave, or a home theater for the family to enjoy? We understand how some people might hesitate to rent a unit because of cost, but self-storage is more affordable than you think (especially if you factor in our $1 first month’s rent specials and military discounts, if you are eligible). You can clear the space and still afford to use that extra room the way you want. Give yourself the gift of space at home. Contact Eden Way Storage Center today to inquire about available storage units in Chesapeake.